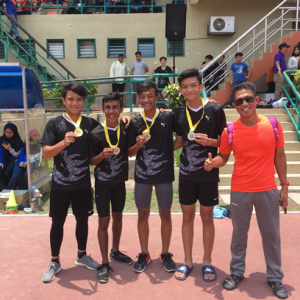 The APSS 4 x 100m Boys Team A (Ivan K, Noah, Shawn and Aatif) Clinched the GOLD medal at the invitational run of SMK Setiabudi’s 13th Annual Sports Meet held at the UIAM Gombak Stadium on 7th April. Competing against 5 other teams, our Boys Team B (Ivan L, Raphael, Hou Yi and Andrey) managed to finish at 4th place. 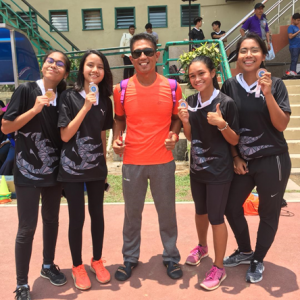 Our Girls team (Elsa, Iliessa, Aida, & Aisya) also ran gloriously, snatching the SILVER medal in the girls event. Despite a fallen baton, they managed to rise and get back into the race and almost won a Gold! 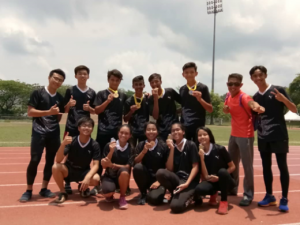 It was great exposure, and an opportunity to try out a few new arrangements of the runners’ positions and pairings, especially in the preparation for next year’s MSSD. 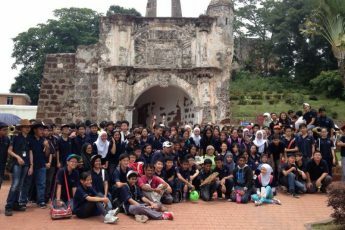 Special thanks also to our parent, Dr Adibah for being there throughout the whole event and supporting the team! 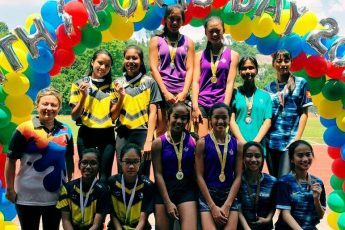 Well done to all students & teachers involved and lets work toward more victories!